View Cart “The German Legal System and Legal Language, Fifth Edition” has been added to your cart. 75 years of the Constitution of Ireland: An Irish-Italian Dialogue is a unique work which explores several core themes relating to the evolution and the achievements of the Constitution of Ireland of 1937. 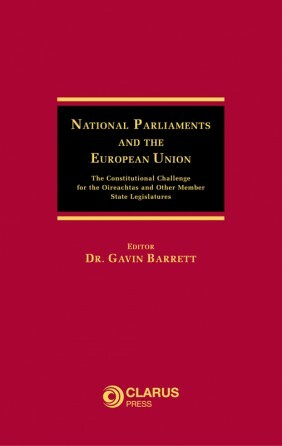 A distinctive feature of this book is the comparative approach taken by several leading Italian scholars of constitutional and administrative law to different aspects of the Irish Constitution, examining the nature and implementation of the relevant constitutional provisions and comparing them with the experiences of other European States. 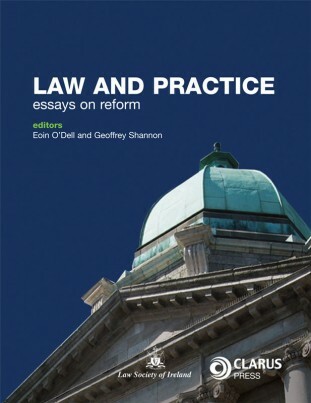 Irish constitutional scholars continue this dialogue in a work which covers all the most important areas of public law including civil liberties, the form of government, public administration and constitutional principles. 75 years of the Constitution of Ireland: An Irish-Italian Dialogue is the product of an international workshop held in Dublin 2011 organised by the Italian Embassy with the support of UniCredit Bank. The book is a celebration of the 75th Anniversary of the Irish Constitution. Giuseppe Franco Ferrari has been professor of comparative public law at Bocconi University Milan since 1999. Previously professor at Teramo (1986-1989) and Pavia (1989-1999) and associate professor in the Catholic University of Milan (1983-1986). Member of the editorial boards of Giurisprudenza costituzionale and Diritto costituzionale. Editor of the journal Diritto pubblico comparato ed europeo since 1999 and president of the Association of comparative and European public law since 1998. John O’Dowd has been a lecturer in the Faculty (and subsequently the School) of Law at UCD since 1991, where he has taught courses in Constitutional Law, Administrative Law, Media Law and the Law of the European Convention on Human Rights. He has published extensively on constitutional issues, including several book chapters and articles in journals including the European Review of Public Law, the Journal of Media Law and The Irish Jurist. The 2013 Irish Constitutional Convention: A Bold Step or a Damp Squib? This book will be of great interest to all legal academics interested in constitutional and public law as well as legal practitioners, students of constitutional law, specialist legal libraries, comparative legal interest specialists and anyone with an interest in Irish Constitutional law.